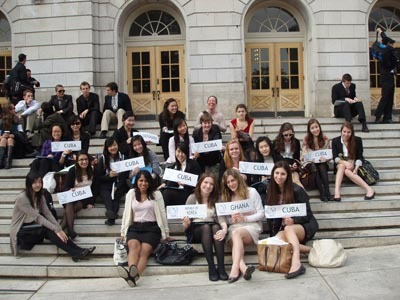 Unlike past years, this YHS Model United Nations team travelled to the University of California at Berkeley in early March to take part in the Berkeley Model United Nations (BMUN). 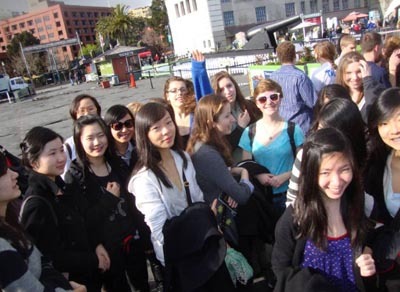 This forage in to new ground ended up paying off most handsomely – everyone had a stimulating experience, both while seeing the sights in San Francisco and engaging in the intense atmosphere of conference committees. While our three Model UN head delegates represented South Korea, Ghana and Denmark, other team members stepped up to the challenge in representing Cuba and showed the United States delegate “who’s boss”. During the five-day trip, we had chills running up our spines at Alcatraz, shamelessly dumped spoonfuls of crushed Oreos into heavenly frozen yogurt, hiked twice-daily up and down the rolling terrain of the Berkeley campus, and of course, not only endured – but dominated – four-hour long committee sessions! Our efforts were rewarded by a handful of research awards, valuable experience in debating an enormous variety of international affairs, and a treasure trove of memories.